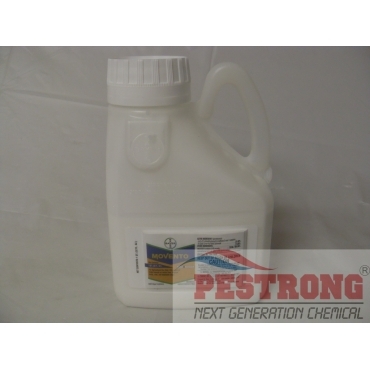 Where to Buy Movento Insecticide, Movento SC Insecticide Spirotetramat - Qt - Gallon - $272.95 for Sale with Fast Free Shipping! Movento SC Insecticide Spirotetramat - Qt - Gallon is a revolutionary insecticide, offering truly unique two-way movement both upward and downward within plant tissue to find and control even hidden pests. By buying this product & leave product review you can collect normally 104 reward points as a voucher of $10.40(1%). It offers broad-spectrum control of many sucking pests, and is an important addition to integrated pest management programs. A foliar application of Movento protects young and new developing leaves, even those that may not be present at the time of application. For best results, Movento must be tankmixed with a spray adjuvant that has spreading and penetrating properties. Two-Way Movement – Moves leaf-to-leaf and leaf-to-root protecting the entire plant, including those in dense crop canopies, new shoots and root systems. Low-Use Rate – Lower spray volume can typically be utilized on certain crops, for time and labor savings, as well as more timely application to the entire treatment area. Unique Chemistry – Movento has a unique mode of action that becomes active when ingested by insect pests that feed on treated plants. Very nice way to use your insecticide, makes application easier, lets you know where you use your chemical and where you missed, it makes my customers happy and that makes me happy.